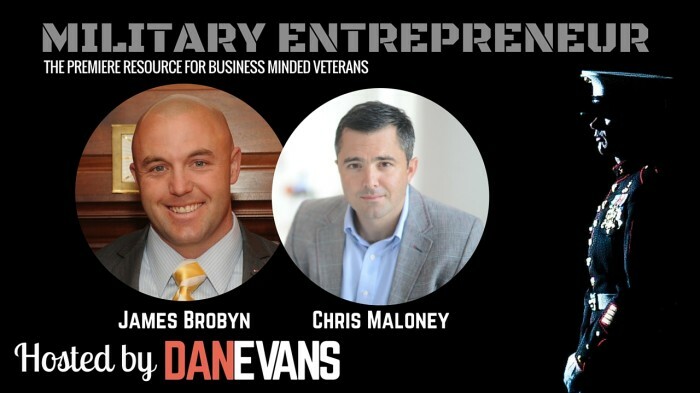 This week features James Brobyn and Chris Maloney– two Marine Officers and friends who recently left active duty and started their own business. We discuss why they left active duty, family, entrepreneurship, and their newest venture- CauseEngine. James is a nonprofit advocate and co-founder of CauseEngine, a social enterprise connecting nonprofits with freelancers to drive impact. Positively shaped by his time as an infantry officer in the Marine Corps, and two tours in Iraq, James is passionate about service and designing new ways for nonprofits to build scale and impact. In 2010, after serving thirteen years in the Marine Corps, James transitioned out of the military so he could raise his daughter and further his education. Prior to CauseEngine, James was the Executive Director of the Travis Manion Foundation. A Philadelphia native and graduate of the US Naval Academy and The University of Pennsylvania, James is a proud father and recipient of the Purple Heart Medal. Chris is also a co-founder of CauseEngine. He served ten years on active duty in the Marine Corps, deploying four times as a pilot and forward air controller. He continues to serve as a Marine reservist. Chris received his MBA from Fordham University and graduated from the US Naval Academy. He supports multiple veteran organizations and continues to believe in people, making a difference, and the viable business that combines the two.